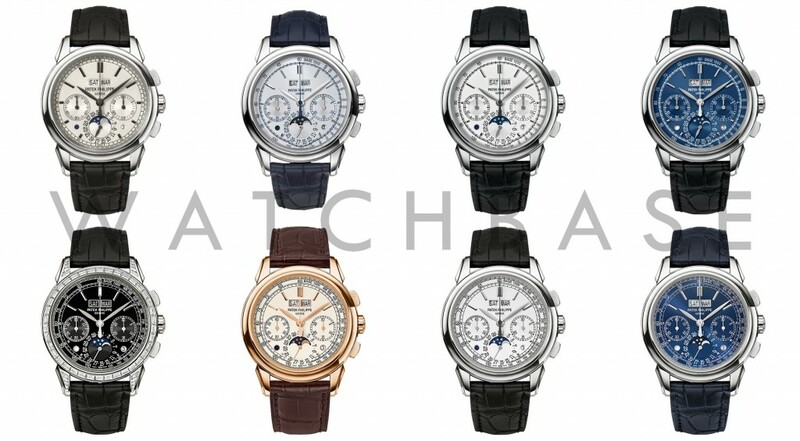 There it is – the 2015 Patek Philippe Perpetual Chronograph ref. 5270R. The first 5270 in a metal other than white gold (apart from the 5971P) and the third attempt at a lay-out for the much-discussed dial. I must admit I am somewhat lost for words. I don’t think there has been any Patek Philippe before that has had such major and fundamental changes to its dial design. First there was the version sans tachymeter: the original 2011 5270G-001. It was the first perpetual calendar chronograph to be powered by an in-house movement: the newly conceived CH 29-535 PS Q. Than in October 2013, the KunstWerkUhr 5270G-015 was introduced. This model featured a silver dial with blue accents and marked the return of the tachymeter. It was introduced to commemorate the Munich KunstWerkUhr exhibition, celebrating the history of Patek Philippe. On this limited edition of 50 pieces, the seconds track was designed to fold around the date scale at six, resulting in a design feature that would become known as the ‘double chin’. The limited edition KunstWerkUhr was accompanied by the regular collection 5270G-013 with silver dial and the 5270g-014 with blue dial some two months later – both of them featuring said ‘double chin’. At BaselWorld 2014 however, the diamond-studded 5971P was added to the collection. The date scale now overlapped the seconds track, doing away with the unusual design feature that caused so much debate. And now for 2015, there is the 5270R-001: a regular collection 5270 with tachymeter, though sans ‘double chin’. So now what? It seems that Patek Philippe listened to the comments posed by its collectors and gave way to a more traditional design for the 5270. Filling the shoes left by the much-coveted 5970 seems to have been a task slightly underestimated..